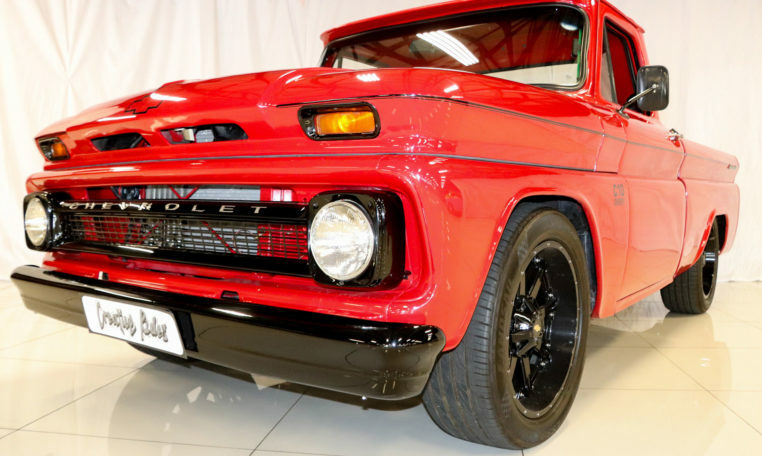 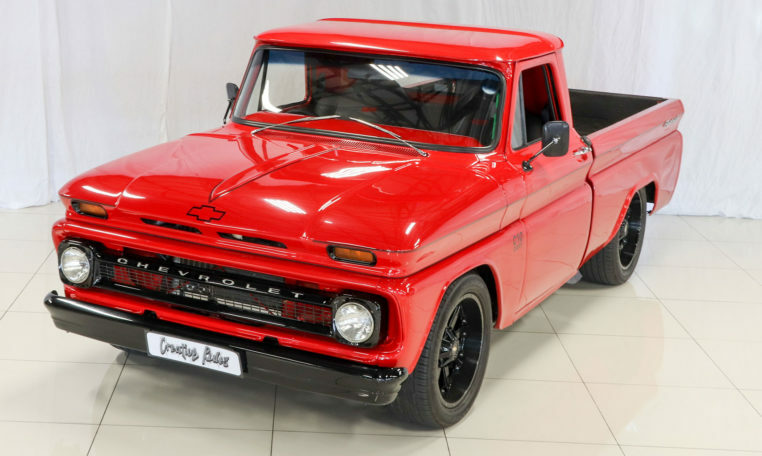 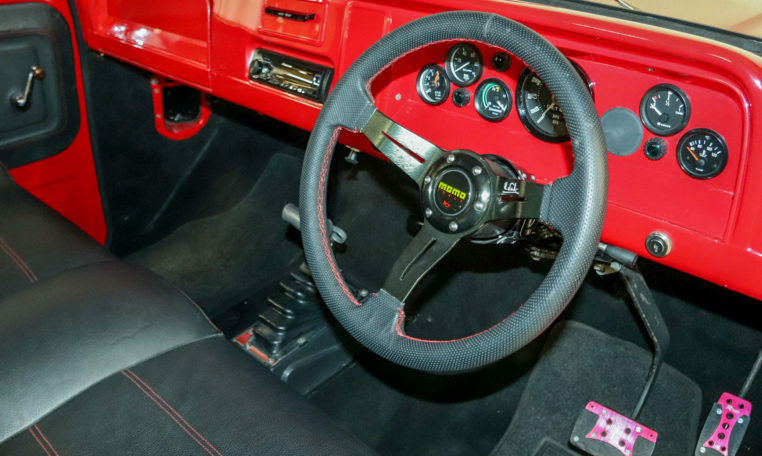 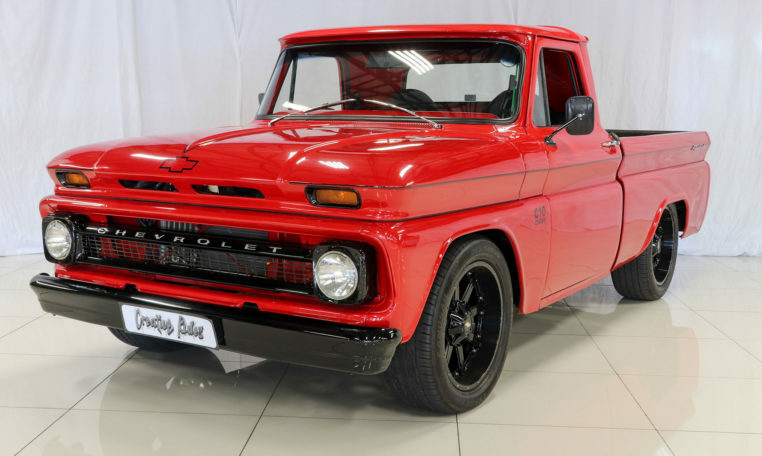 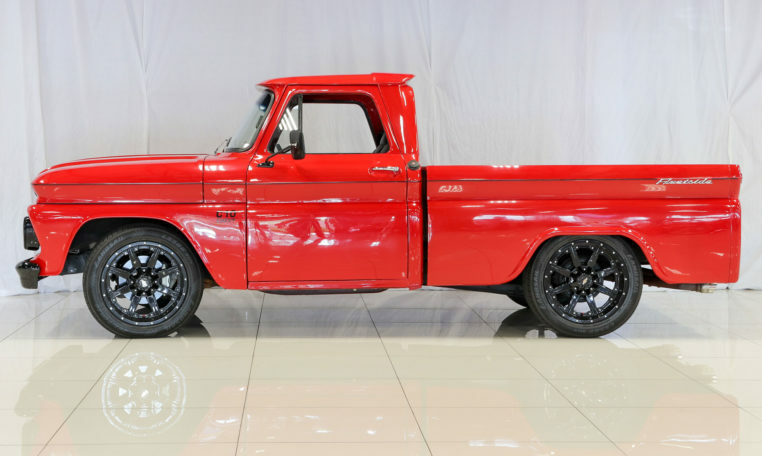 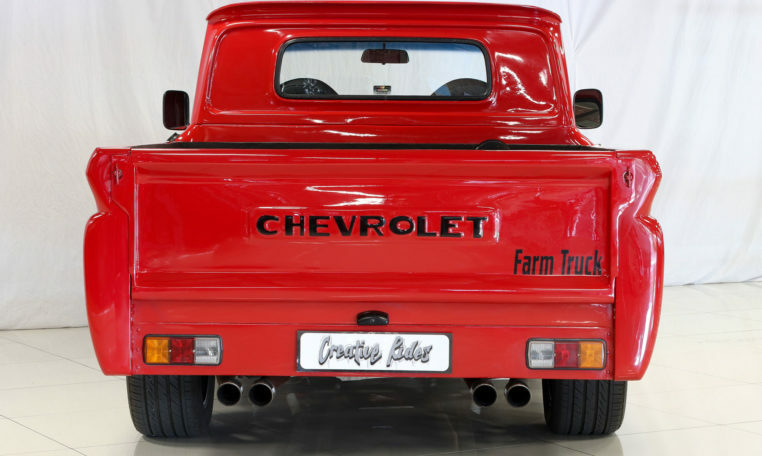 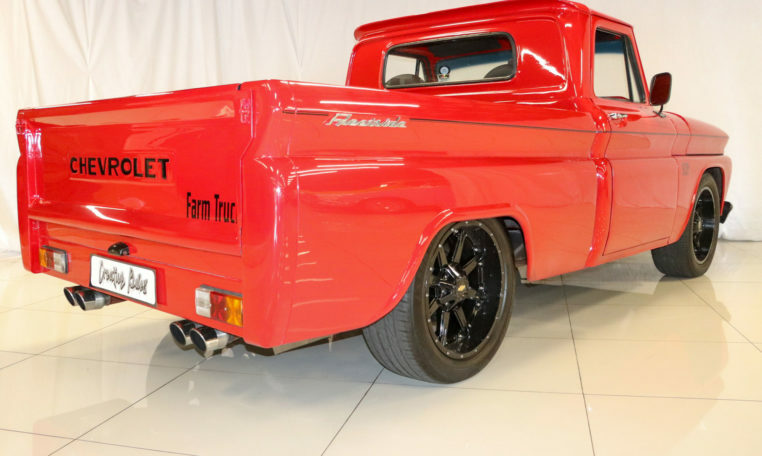 1966 Chevrolet C10 Fleetside custom pickup with custom red paint work & black leather stitched upholstery. 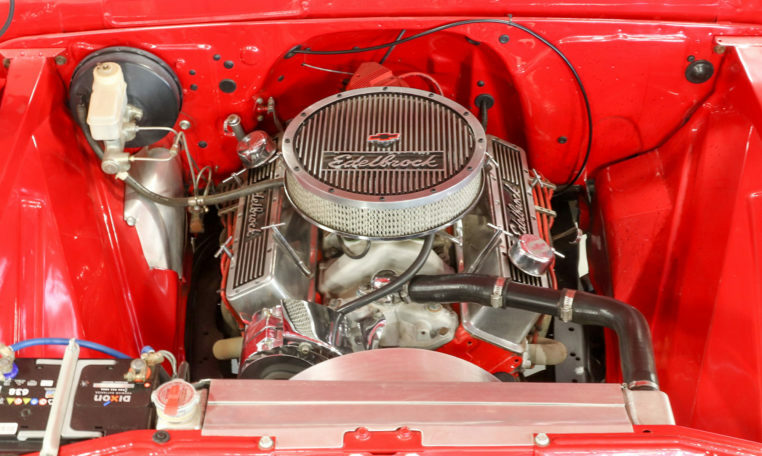 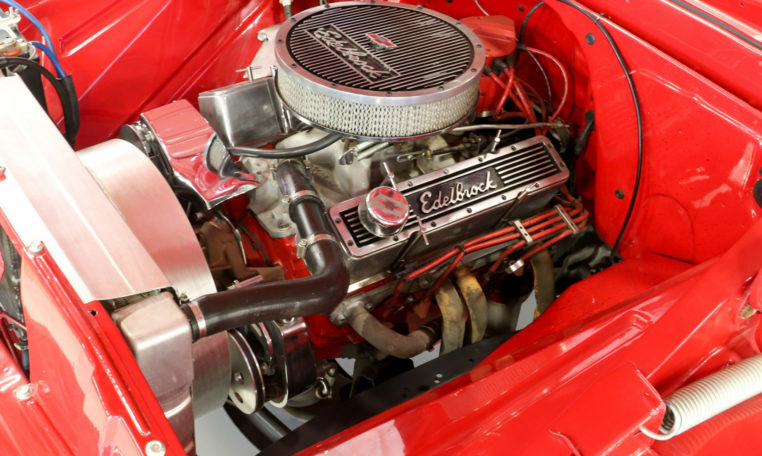 Under the hood is a Chevrolet 350 ci V8 engine that has been re-built and refurbished with all new accessories. 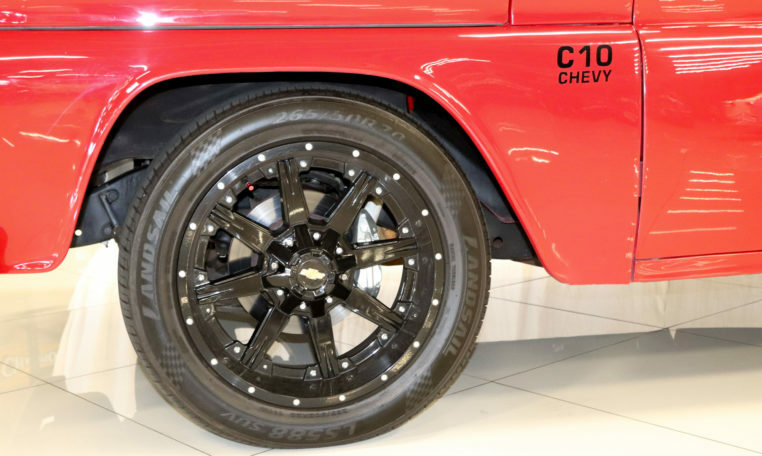 This custom Chevrolet sports truck is fitted with 20” blackened sports rims and has brand new tyres all round. 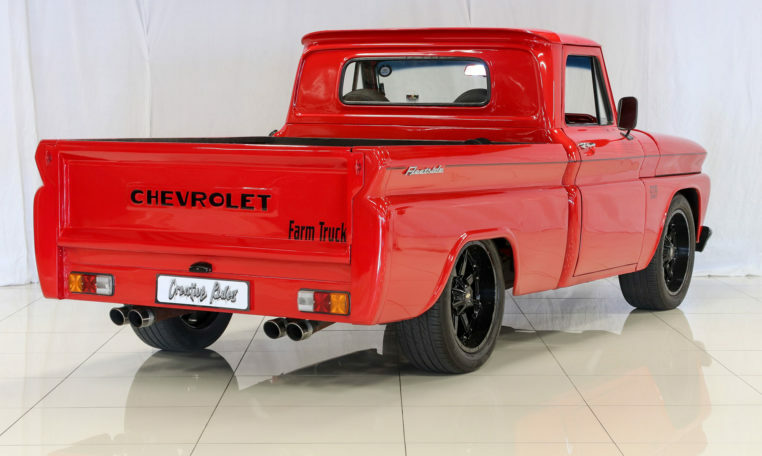 The first generation Chevrolet C/K series truck ran from 1960 up until this its final offering at the end of 1966. 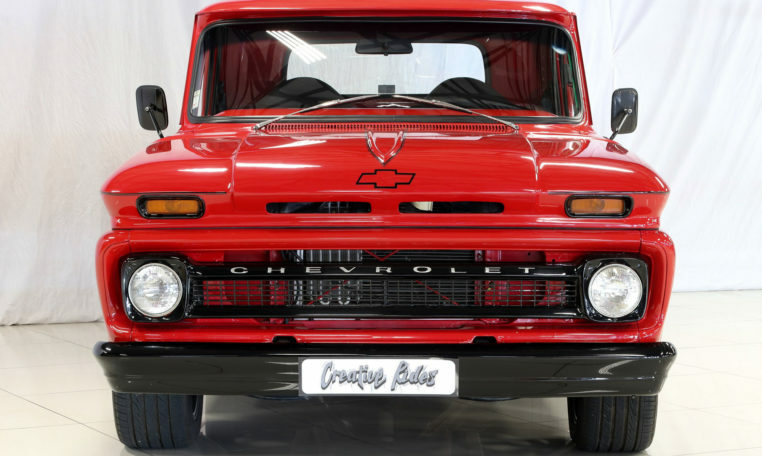 The 1960 Chevrolet C/K series introduced a new body style of light pick-up truck that featured many firsts. 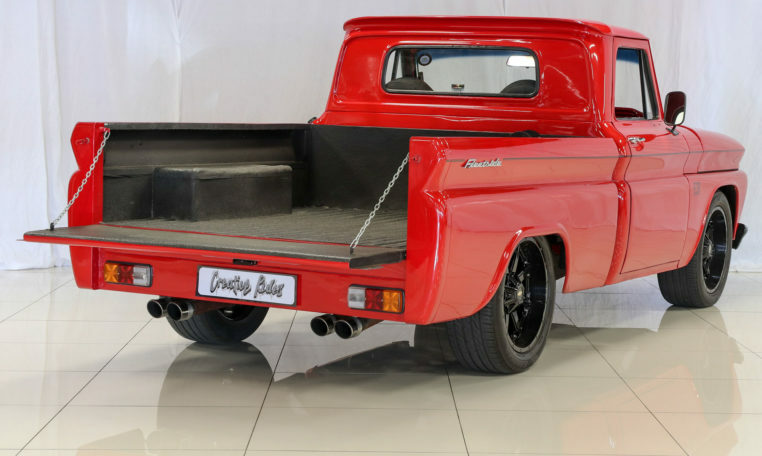 The most important of these new features was the drop-centre ladder frame and independent front suspension. 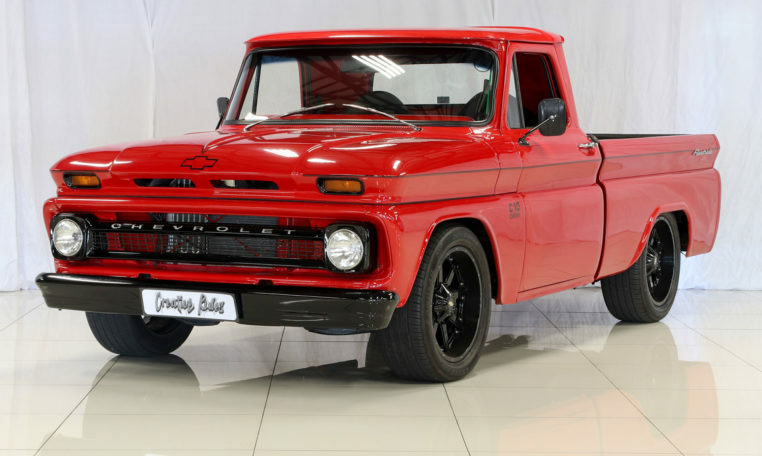 The cab was modified for 1964, with elimination of the “wraparound” windshield and a new front grille design. 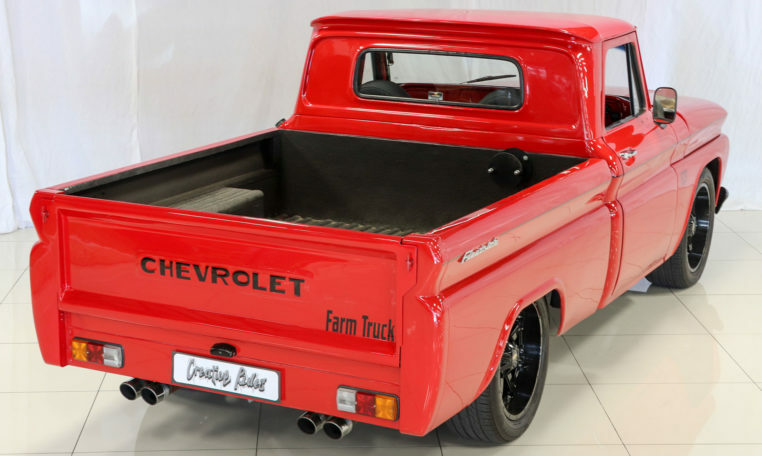 A favourite amongst Customizers the C/K series was the perfect base for a modern build with classic 60’s looks.